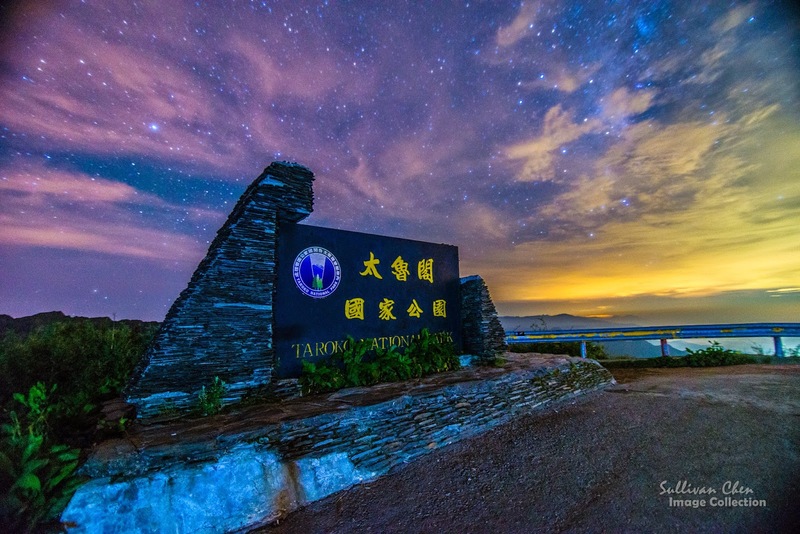 Lot travelers may put Cinjing and Taroko in their itinerary. 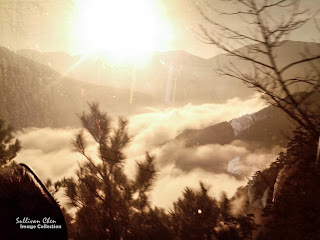 Although there is only about 100km in maps, however, the highway goes across Hehuansan, over 3200m in elevation. It is difficult to arrange the transportation, but it is worth!!. 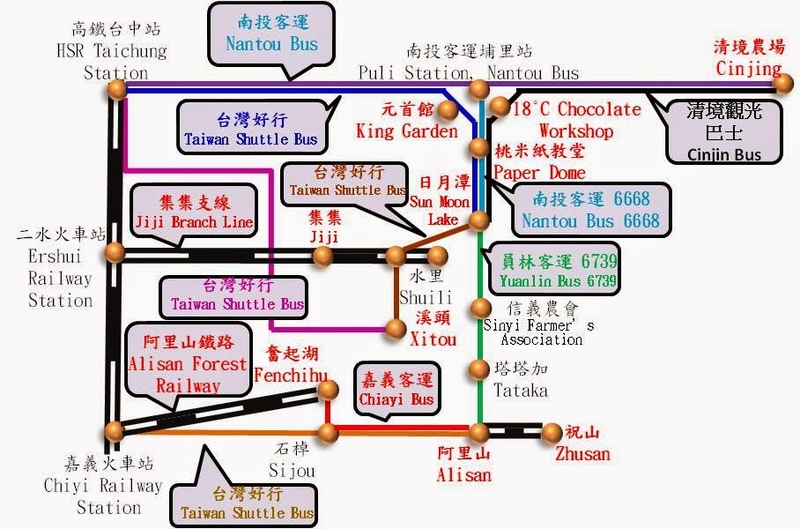 If you want to move between Cinjing & Hualine within one day, the general solution in guide books or public information is go via Taipei. But the solution,about 450 km, takes a lot of transfer and stay in bus/train all day long. If fact, there are 2 choices you may make use of. 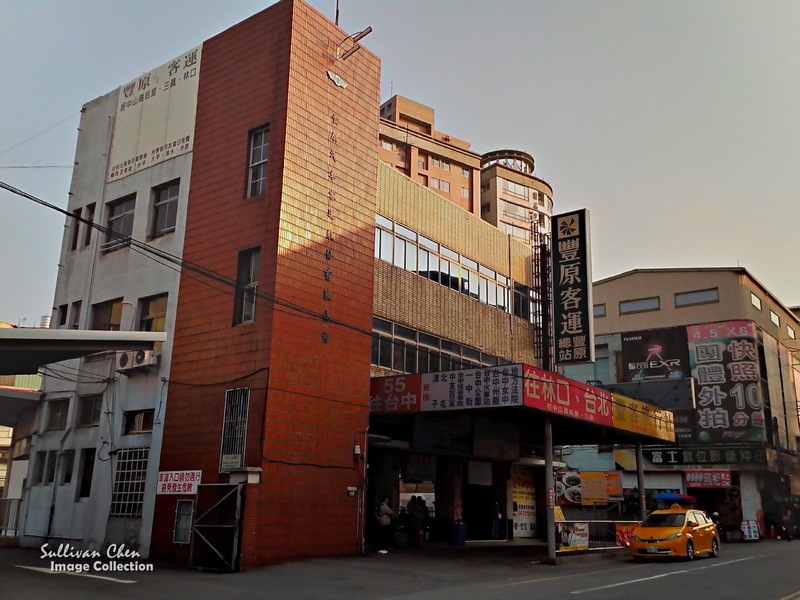 There is no direct bus connecting Cinjing & Hualine, but there is another alternative in which you can visit Hehuansan in the trip. 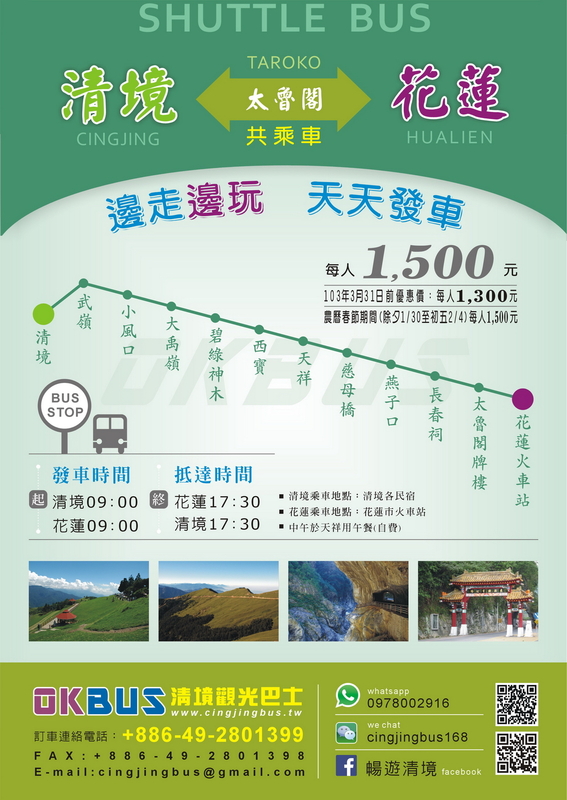 Because FY Bus reaches Dayuling earilier than Hualien Bus, passengers can go to Taroko from Cinjing within one day. But it takes 2 days to go to Cinjing from Taroko bus of the timetable. Hehuansan is the highest part of the trip. If the weather condition is great, you can see Penghu, 175km in the west, and Pacific in the east. 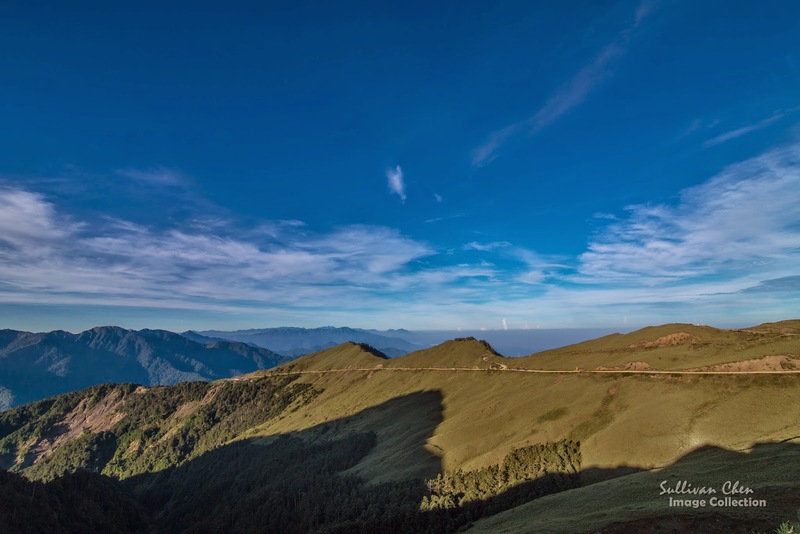 The most popular visiting places in Hehuansan is Wuling, the ridge of Hehuansan 3275m in elevation, and Song Syue Lodge. And the bus stop is located in Song Syue Lodge. The fare of FY Bus between Cingjing & DaYuling is NTD 81. The fare of Hualine Bus is NTD 132 for DaYuLing <->Tienshiang and NTD 326 fro DaYuLing<-> Hualien. Comparing to the total cost by going via Taipei, it is a bargain choice. 3 legal tour bus companines provide the transportation service between Cingjing and Hualien. Although it is not a regular bus route, it is a good choice if you want to stay at some places of interest along the way. Since it is not a regular bus route, you should confirm with the bus companies in advance by yourself. The duretion of Cinjing Tour Bus is about 8 hours, including 10 stops along the way with 20 minutes in each stop(they won't stay at all attractions listed in the maps). 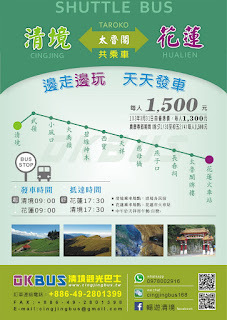 Bus departs at 9 am from Hualine Railway Station (westbound) and Cinjing (eastbound). The bus will pick you up from your minsu in Cingjing. 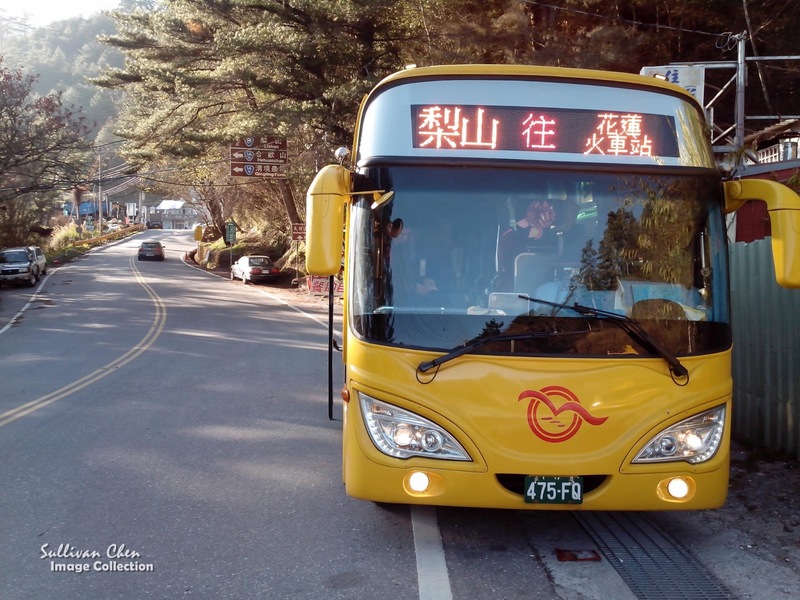 e-go bus departs at 8:30 am and arrive at 13:30 and stop at Wuling, Huhuansan, Bilu Sacred Tree, Swallow Grotto, Entrance Gate of Taroko. 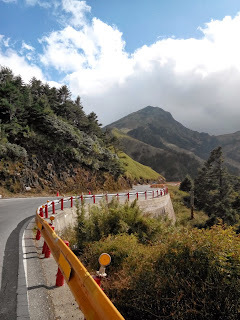 Round Taiwan Round stops at Wuling, Huhuansan, Bilu Sacred Tree, Swallow Grotto, Eternal Spring Shrine (Changchun Shrine) with more time for tour. It departs at 9am and arrive at 6pm and charge NTD1400 for each pax. In order to make you trip smoothly, there are some suggestions. Since the elevation in Hehuansan is over 3200m, It is cold and windy in winter. 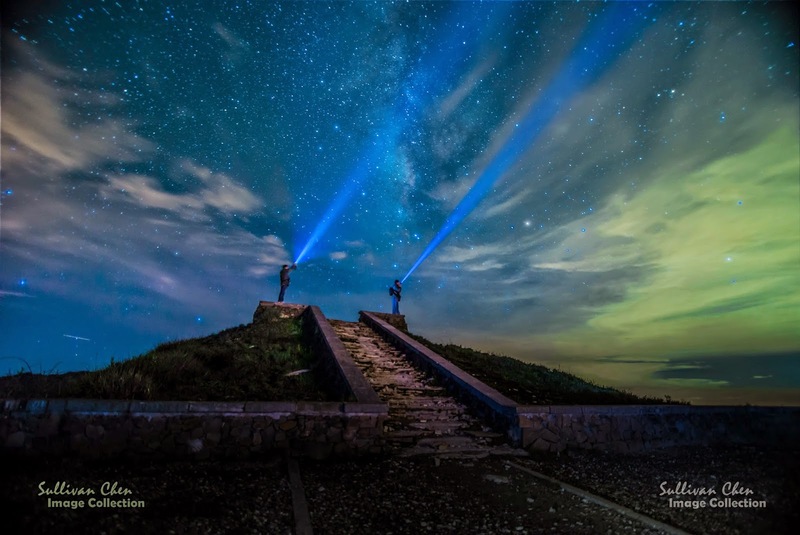 The best season to visit Hehuansan is from April to October. Please check the whether forecast in advance. You can stay at Lisang(but it is really rush) for transferring, but please ask the bus driver of FY Bus to ensure HL Bus. The bus drivers know each others. The FY bus takes a rest at Song Syue Lodge about 15 min. You can also stay in Dayuling for 3 hours, bus it is boring there. Another choice is staying in Son Syue Lodge and hitchhike(You can hitchhike to Wuling first) to DaYuLing if you are used to hitchhiking. Hehuansan is a very important scenery spot in Taiwan and there are always cars passing by. It is not difficult to hitchhike. Please note that the time table and fare is for reference only. And the exact time for the intermediate stops is unsure. Please wait the buses earlier. Please also check the road conditions in Taroko. 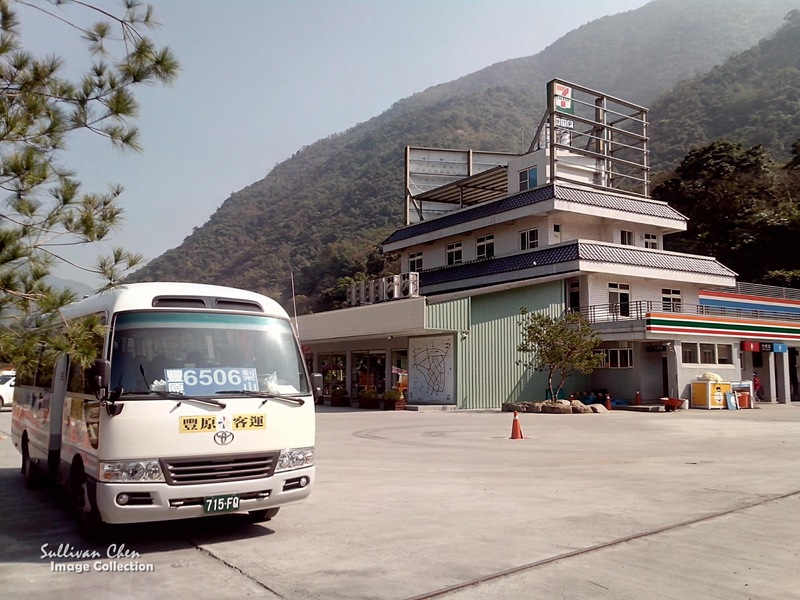 Although the bus terminal is Hualien Railway Station, you can stay at Tiensiang for one night. 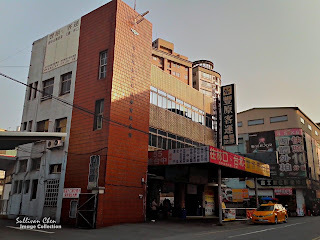 You can choose Tiensiang Youth Activity Center or Tiensiang Catholic Church((03)869-1122). There is a hot spring and Baiyang trail nearby.